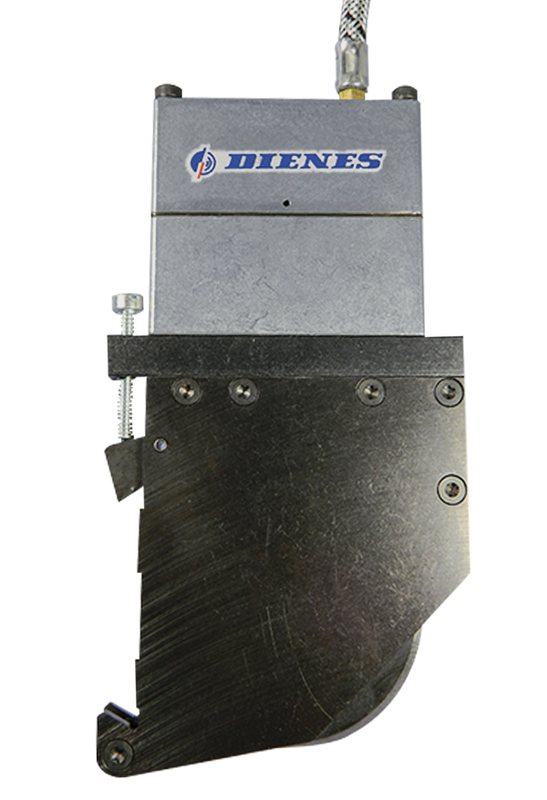 Dienes' unique double cylinder pneumatic crush/score cut holder for heavy duty, narrow-width (1/2″) applications. This narrow width slitter develops nearly double the cutting force of single cylinder holders. 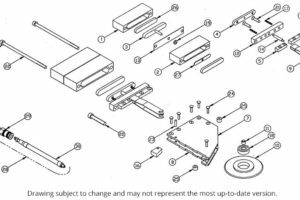 This design employs the same mounting dimensions as all the Dienes PQAS style holders and can be interchanged on the same dovetail bars. These holders come standard with the same pneumatic connections Dienes offers on all PQAS style holders. This model is unique in the pneumatic cylinders are stacked in tandem to deliver high cutting forces. 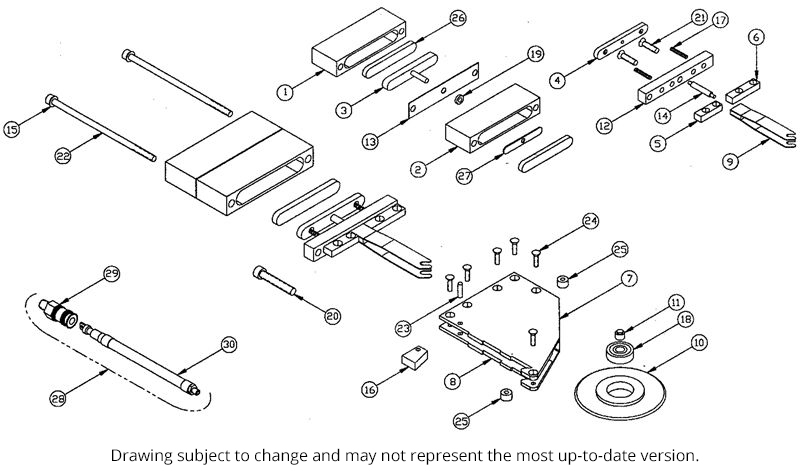 The PQAS-MC-HP holders are able to produce 135 pounds force when 90 PSI is applied to the holder. These holders are rated to run up to web speeds of 950 feet per minute. This high force knife holder is capable of slitting high strength materials including sand paper, leather, flooring, and roofing materials. When you desire quality, think Dienes.